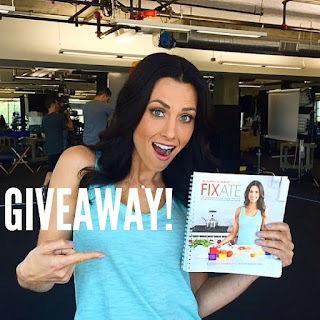 Shannon Hargrave: NEW Fixate Cookbook!! Autumn Calabrese, creator of the 21 Day Fix and 21 Day Fix Extreme has created a NEW COOKBOOK -- FIXATE! 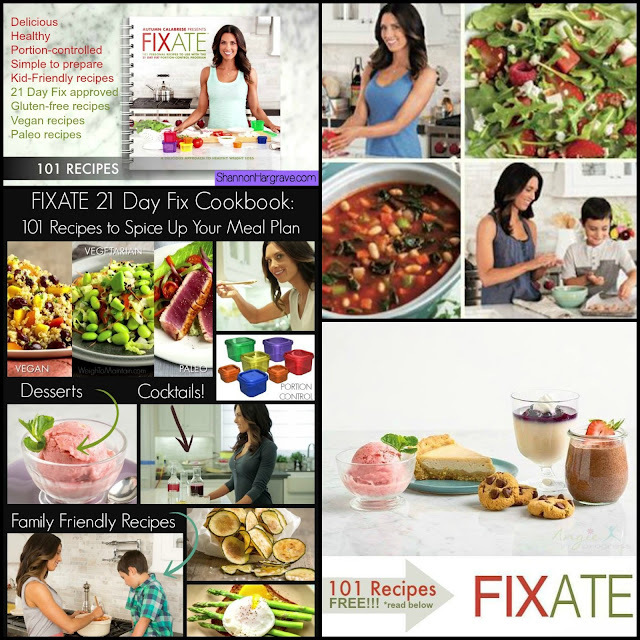 The book includes 101 of my favorite recipes, and they are ALL 21 Day Fix approved! The 21 Day Fix is our most popular program and it was a GAME CHANGER for me. It's helping so many of my Challengers FINALLY get results with a simple, portion control meal plan, NO Calorie Counting, and daily 30 minute workouts. It literally couldn't be easier or more straight forward! And best part ---> Those in my Challenge Groups who follow the plan generally lose up to 10-15 pounds! So HOW can you get the Fixate cookbook for FREE?! Anyone who purchases a challenge pack from me this month will get a chance to Win a Free copy from ME! smile emoticon So hurry up! 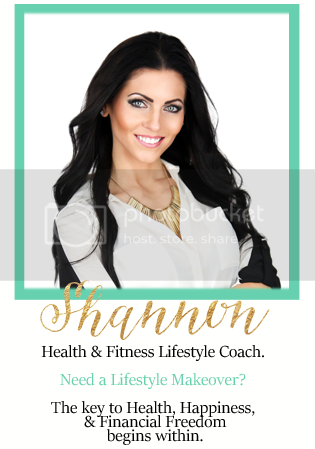 A new fitness program + 30 day supply of Shakeology + 30 day FREE trial of Beachbody on Demand + invite to join my next VIP support and accountability group! For the rest of this month you can actually get the 21 Day Fix, 21 Day Fix Extreme, Beachbody on Demand (3 months access) Challenge Packs for LESS than a one-time order of Shakeology. AWESOME DEAL!! There is a Team Beachbody exclusive purchase window till August 6th, 2015!! Sign up with a free account here to get this book before August 6th!! Message me ASAP or comment below that you'd like your FREE copy of FIXATE! I want FIXATE to ShanHargrave@gmail.com!! Even Better I will support you every step of the way in an accountability group! Apply here below for online support with your purchase! Seriously.... I got you completely covered for SUCCESS! !